Let’s get organized! A good planner can help keep you on track this coming year. If you’re the type of person who prefers the old fashioned way to stay organized (versus using an online app), a planner is a must-have. Never miss an appointment, birthday, event again. They have some pretty snazzy planners for different types of people. Some are simple and plain and others are chic and detailed. 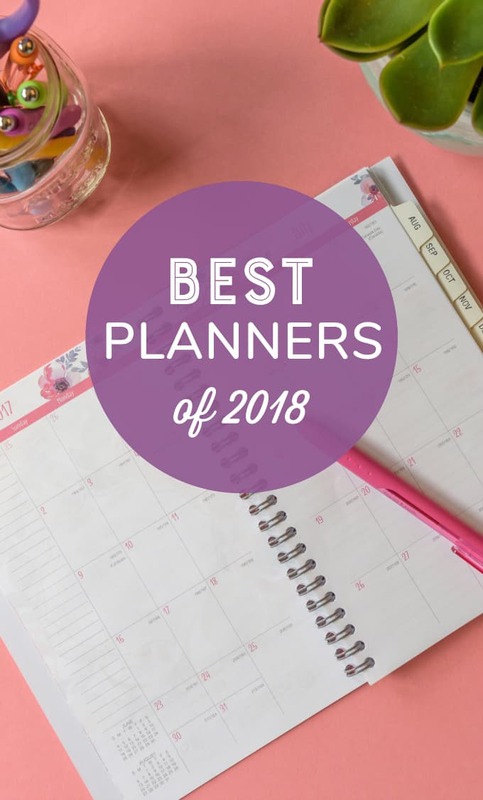 My bloggy bud, Crissy, and I compiled our list of the best planners of 2018 that will help keep you motivated, organized and feeling like you got this! My picks are the odd numbers while Crissy’s are the even numbers. Check them out below! The new year means a fresh start. I use this opportunity to get my home and life in order. Out with the old and in with the new, as they say! Check out this post to see if an Erin Condren planner is right for you. Which planner best suits your lifestyle? I’m having a hard time deciding which one to get! My favorite is the Panda Planner – Update. I love the 1 Erin Condren Life Planner! Beautiful colors! Erin Condren’s Life Planner is so high on my wish list. One year this will be a gift to myself! I like the Erin Condren 2018 Hardbound LifePlanner.